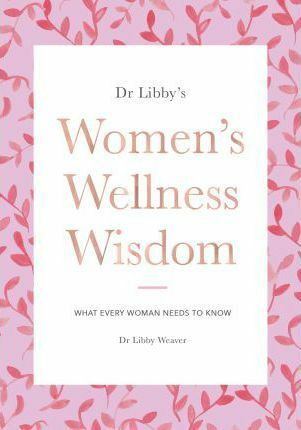 The latest book by eight times number one best-selling author Dr Libby, Women’s Wellness Wisdom, is, quite simply, the book that every woman needs to read. In this unique approach to wellness, designed to specifically address the issues that women of all ages face, readers gain a deep understanding of their body and what it needs in order to not just survive but to thrive. Often, we are simply told to eat “healthily” because it is “good for us.” Rarely does a book this beautiful explain the processes of the body, and how they’re all interdependent on each other, while offering real guidance on how we can support ourselves in such succinct and easy to understand language. From over two decades of research, Dr Libby takes all the guesswork out of being a woman, providing insight into the questions that plague western women around the world, including: Why some people emotionally eat and how to end this, why our skin breaks out and why we might lose our hair, how estrogen and progesterone affect our bodies and our minds, why we believe ‘if I don’t do it, it won’t get done’, why we store body fat in a certain place and what we can do about it, why our liver is the number one organ to look after, and why we have big conversations at night, rather than at breakfast. With interactive worksheets, real-life examples and step-by-step guides to making life-transforming changes, Women’s Wellness Wisdom is both practical and inspiring. Illuminating how women can thrive in today’s fast-paced modern world, and filled from front to back with Dr Libby’s unique blend of nutrition, biochemical science and emotional care, this beautifully illustrated book is truly the definitive guide for women about looking after their bodies, minds and hearts.